Tea light holders occupy the elusive intersection between ornament and function. 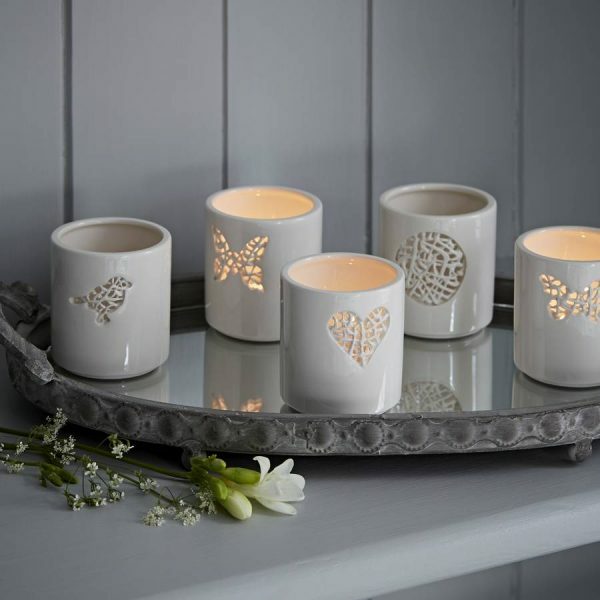 These versatile objects often look lovely on their own, but really come to life with the warm glow of a candle. This post brings together 50 of our favorites spanning a variety of styles: modern, classic, simple, ornate, quirky, luxurious, and everything in between. If you're looking for an affordable housewarming gift or just want to decorate your nightstand or mantle, you're sure to find something that fits your style right here. Looking for more decor inspiration? 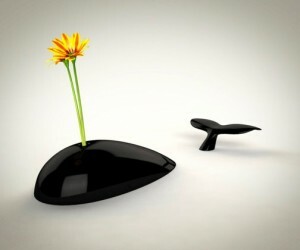 Check out our mega-post on stylish vases and our compilation of oversized wall clocks. 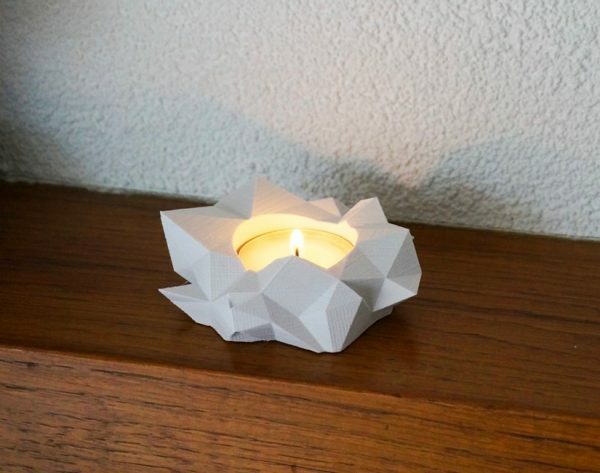 Modern Low Poly Tea Light Holder: Let’s start with a style that suits almost any modern interior: cool geometric polygons. 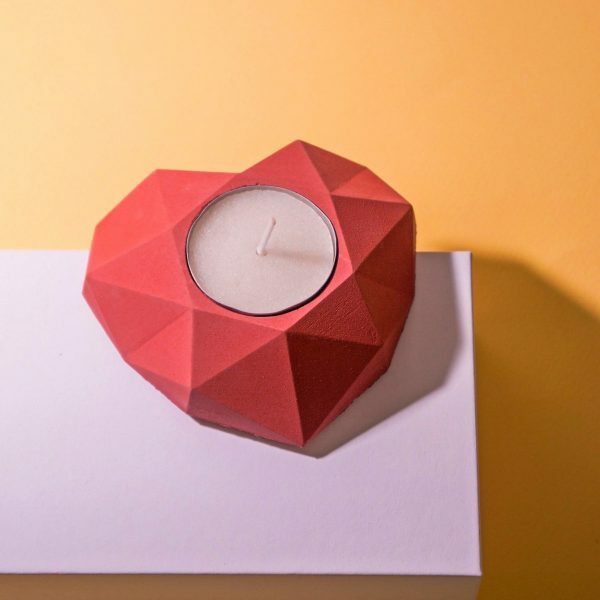 This beautiful little candle holder comes straight from the 3D printer so even its production method is ultra-contemporary. Heart Shape Tea Light Holder: Cement and sand give this geometric candleholder a lovely subtle texture that really captures the light on each of its sharply faceted sides. 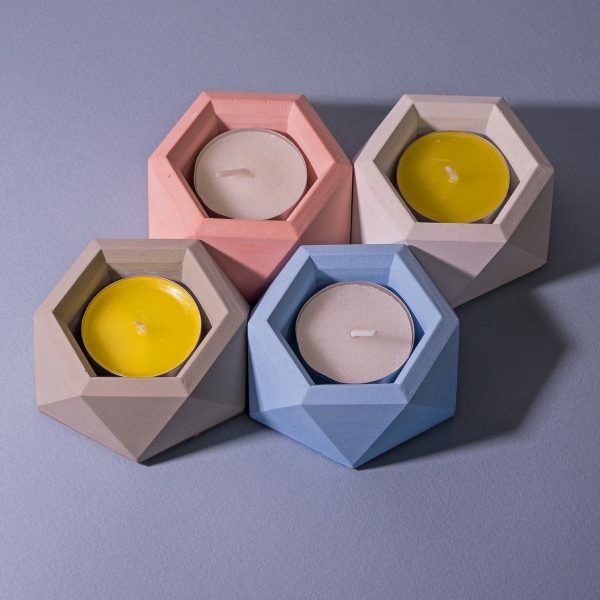 Geometric Concrete Tea Light Holder:Here’s another concrete tea light holder, this time shaped like a hexagon. The precise symmetry makes it easy to mix-and-match for a modular arrangement. And for such an inexpensive price, why not explore with creative color combinations? 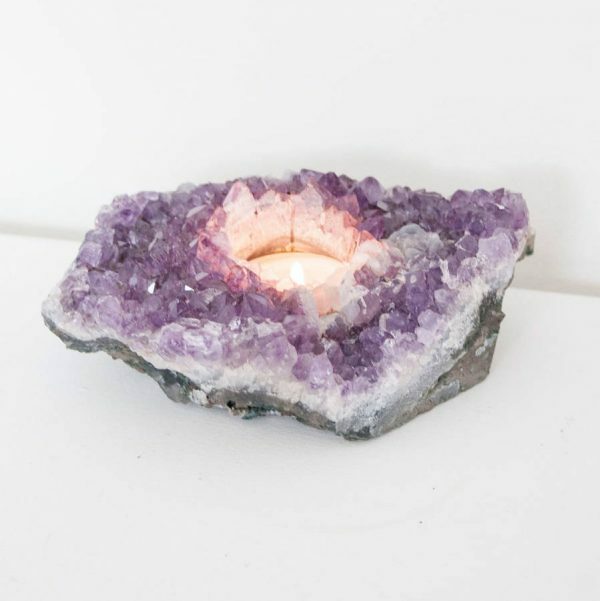 Amethyst Tea Light Holder: Few materials create a more magical interaction with light than natural crystal. Each tea light holder in this series is part an amethyst geode, each one unique. Amethyst is February’s birthstone, so it might make a nice birthday gift too. 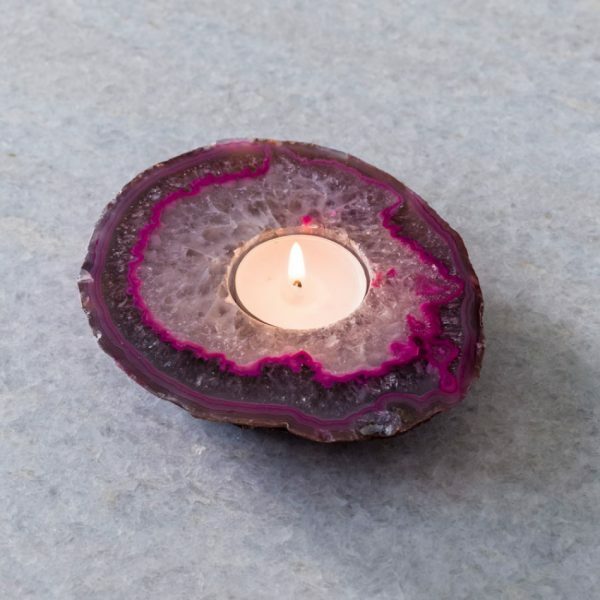 Agate Purple Tea Light Holder: Agate stone reveals its stunning complexity thanks to the addition of vibrant magenta dye. This piece is sure to catch the eye of guests. Minimalist Wood Tea Light Holder: Are you looking for a wood tea light holder to work with a minimalist or Scandinavian-inspired interior? This inexpensive set just might work. Or, if you’re looking for a weekend craft project, the unfinished surface is just waiting for your own creative embellishments. 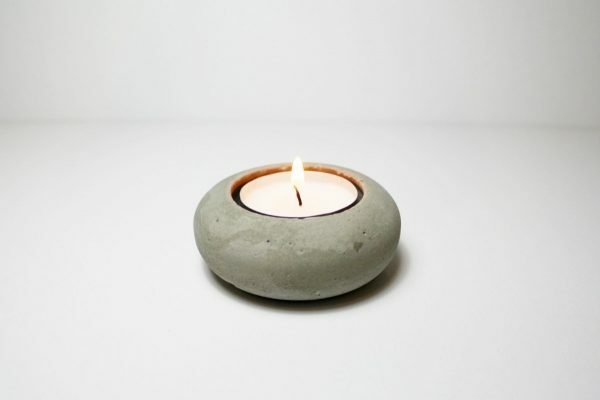 Minimalist Concrete Tea Light Holder: It’s made of concrete, but the natural pocked surface almost makes it look like a smooth stone. 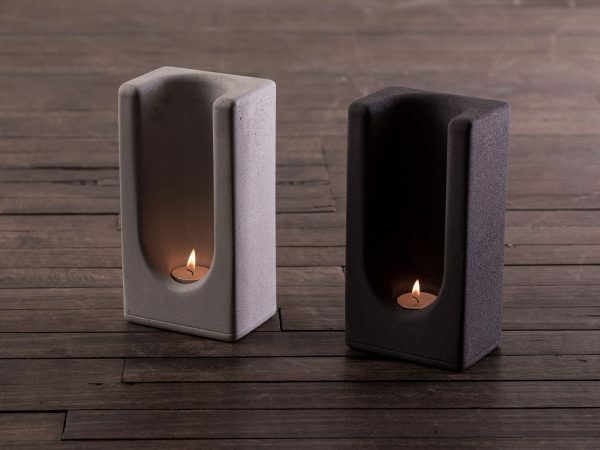 Tealight Totems in Concrete: These totems have artistic value with or without the dancing flames of a candle. These sculptural candle holders are weighty, impressive, and easy to light. 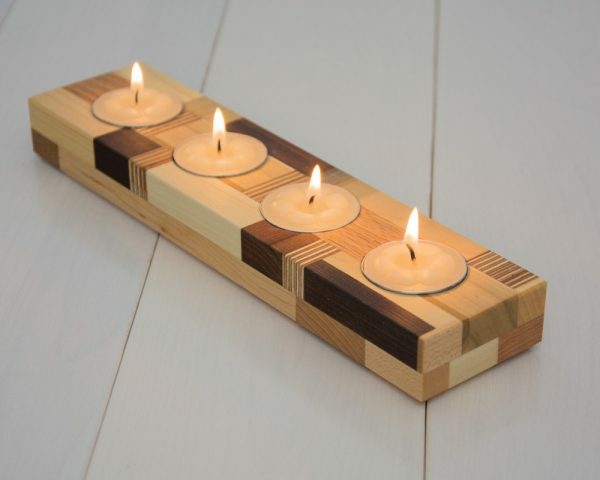 Reclaimed Wood Candleholder: Eco-friendly design has never looked so sleek and modern. Diverse blocks of reclaimed wood create a collage of texture, grain, and color. 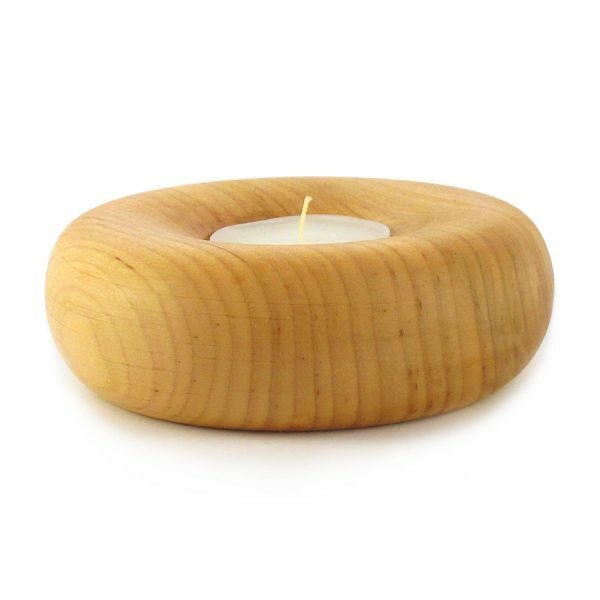 Handmade Wooden Tea Light Holder: Crafted by hand and finished with natural linseed oil and beeswax, this minimalist candle holder is sure to catch the eye. Piper Tea Light Holder: This glass tea light holder collection includes 24 pieces, each standing just over 6 inches tall. 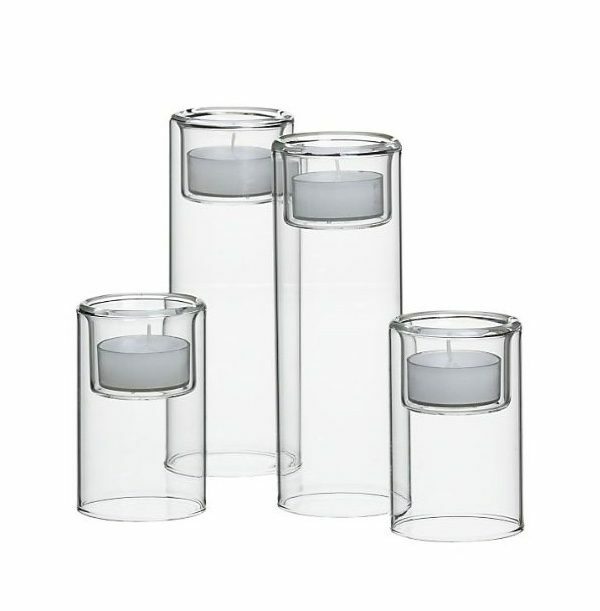 Consider this set if you need coordinated candleholders for a wedding reception, dinner party, or other special occasion. 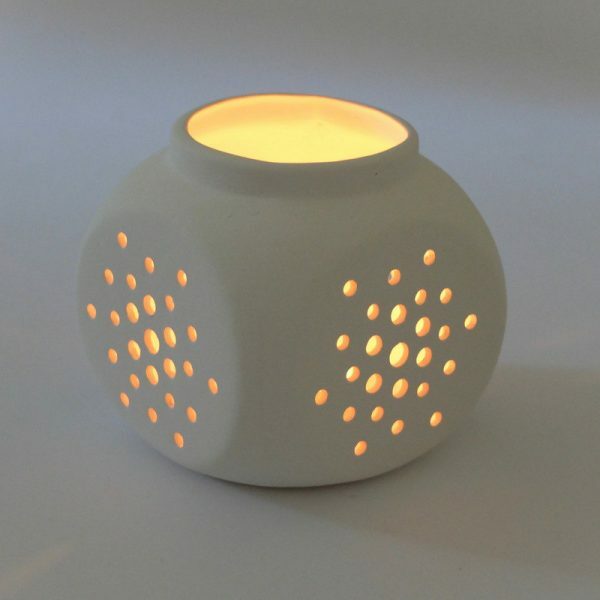 Tangled Motif Ceramic Tea Light Holder: Classic, sweet, and homey – these charming ceramic candleholders fully embrace the warmth of the flame they contain, allowing the light to dance through their “tangled” cutout windows. 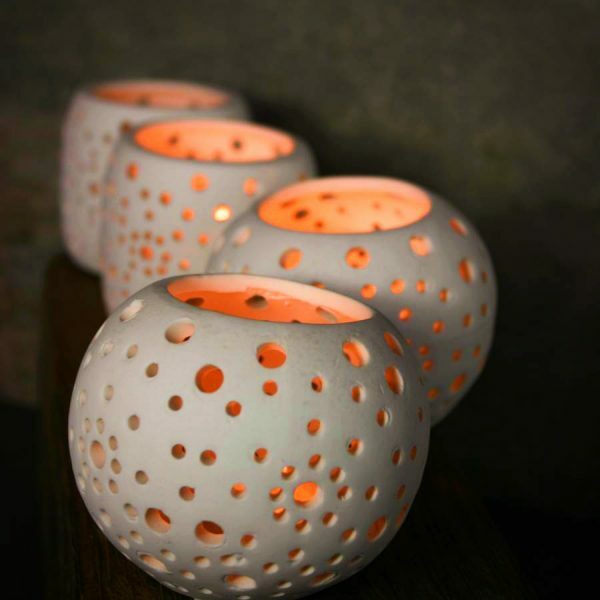 Perforated White Ceramic Tea Light Holders: Available in both spherical and cylindrical styles, these ceramic candleholders have a distinctive crafty vibe suitable for artistic spaces and interiors of every style. Ceramic Tea Light Holder: Matte surfaces always seem to bring out the true color and character of candlelight. Each perforation is punched and smoothed by hand with unparalleled attention to detail. 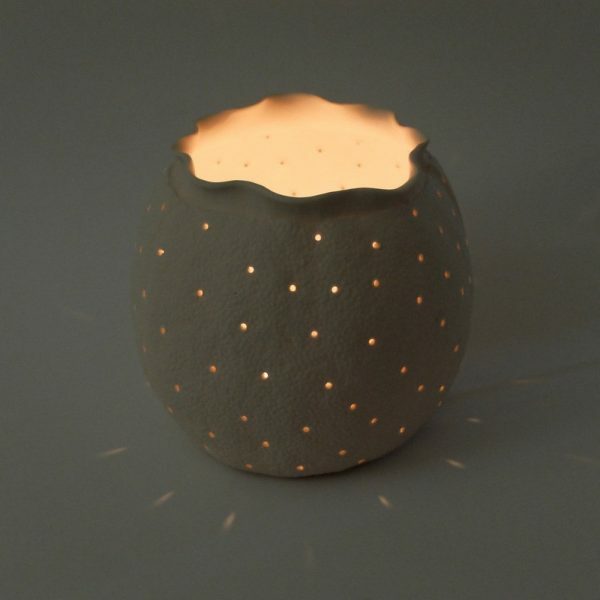 Porcelain Tea Light Candle Holder:Tiny pinholes diffuse the candle’s light, which washes over the scalloped edge to create rich valleys of shadow. The texture and shape were inspired by red sea corral. Personalised Porcelain Tea Light Holder: Are you looking for a handmade gift, but don’t have time to learn ceramics before the big day? 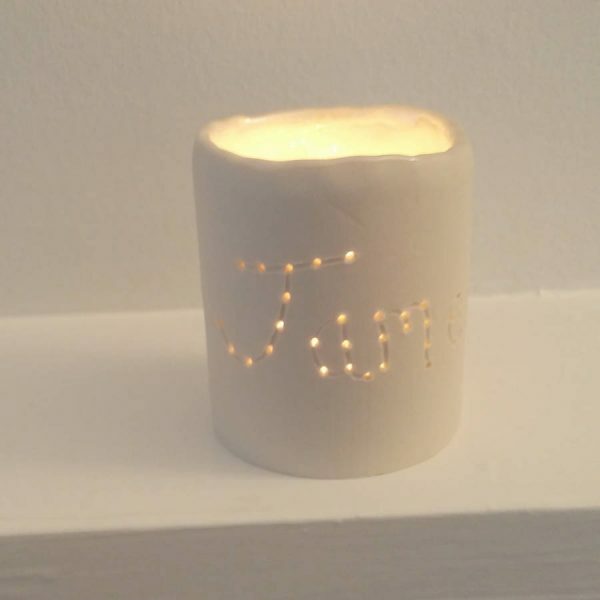 These personalized candle holders can feature any text you choose. 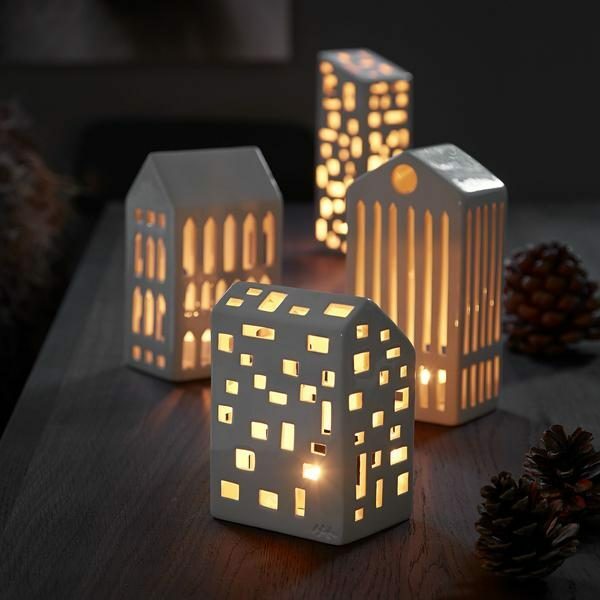 Kahler Urbania Ceramic Tea Light Houses: What a charming little city! These ceramic buildings model after modern residential architecture, with a few based on iconic historical structures like the Pantheon and Basilica. 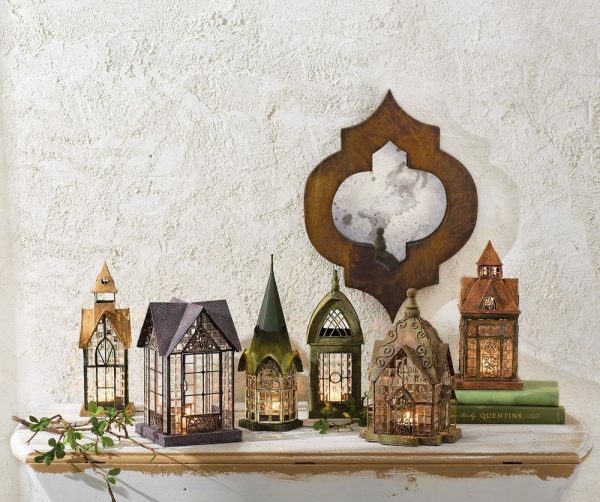 Classic European Architectural Houses Shaped Tea Light Holder: Standing around 7 inches tall, this set of six glass and metal tea light holders interprets classical European architecture through a whimsical lens. 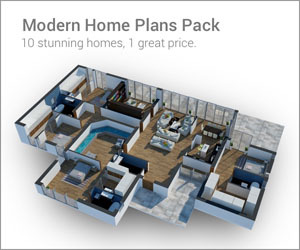 This set would be an incredible addition to any traditionally styled interior. 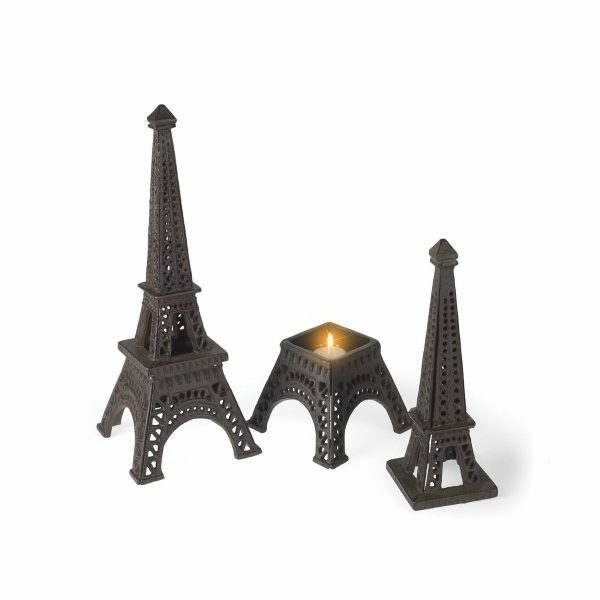 Cast Iron Eiffel Tower Tea Light Holder: Crafted from sturdy cast iron, this Eiffel Tower candleholder is the perfect gift for a well-traveled friend. It stands at 15 inches in height for a dramatic presentation. 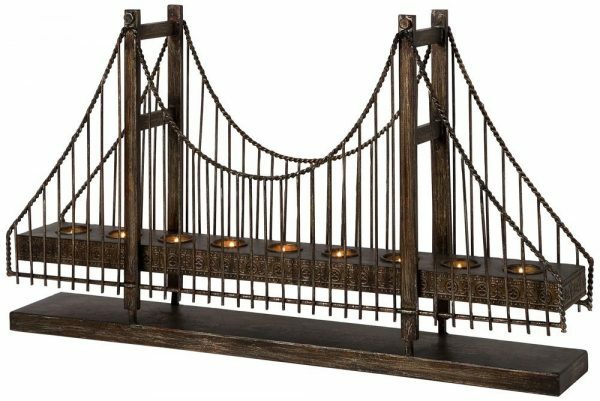 Suspension Bridge Tea Light Holder: Architects and engineers would surely be able to find a place for this magnificent metal tea light holder in their own home. Every detail of the suspension bridge springs to life with a gorgeous vintage finish. 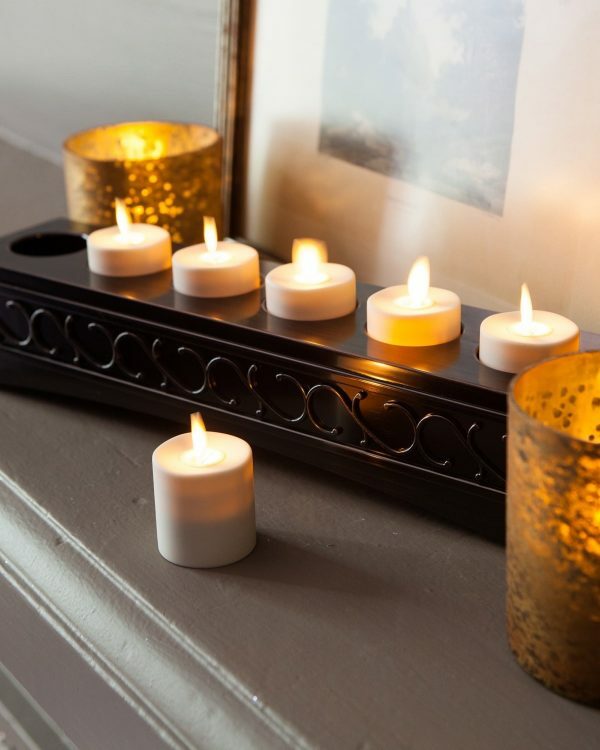 At more than 30 inches long, this candle holder is a true statement piece. By the Sea Lighthouse Tea Light Holder: It’s hard not to love the mystery and personality of the world’s great lighthouses. 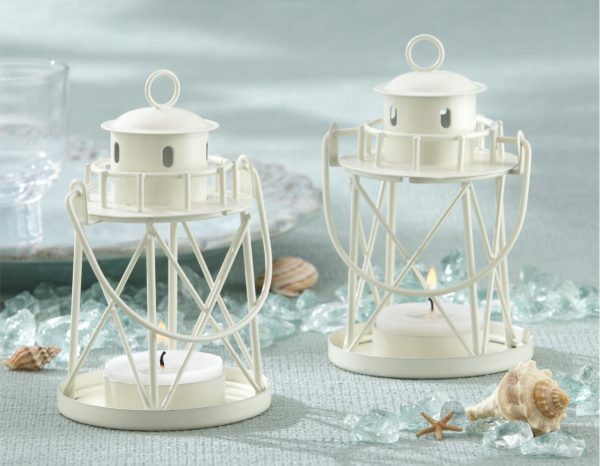 These small candleholders would make a lovely decoration for an ocean-themed party or coastal interior. 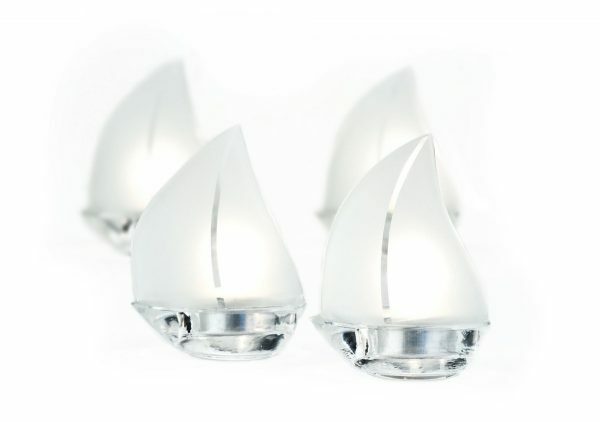 Glass Sailboat Tea Light Holder: Need more inspiration for your nautical interior decor theme? 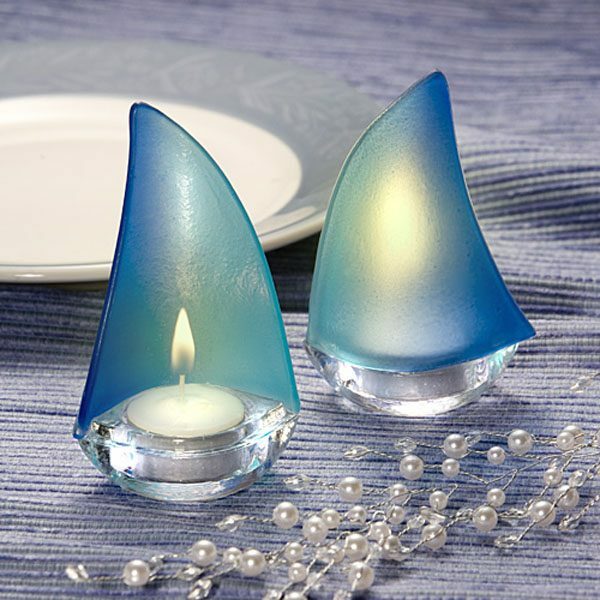 These frosted glass tea light holders feature the instantly recognizable profile of a sailboat as it glides along at full speed. 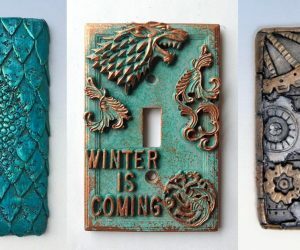 This collection is sold in sets of four. Sailboat in Blue: Here’s a similar concept, this time available in blue. Mermaid Tea Light Holder: Hanging tea light holders are hard to find. 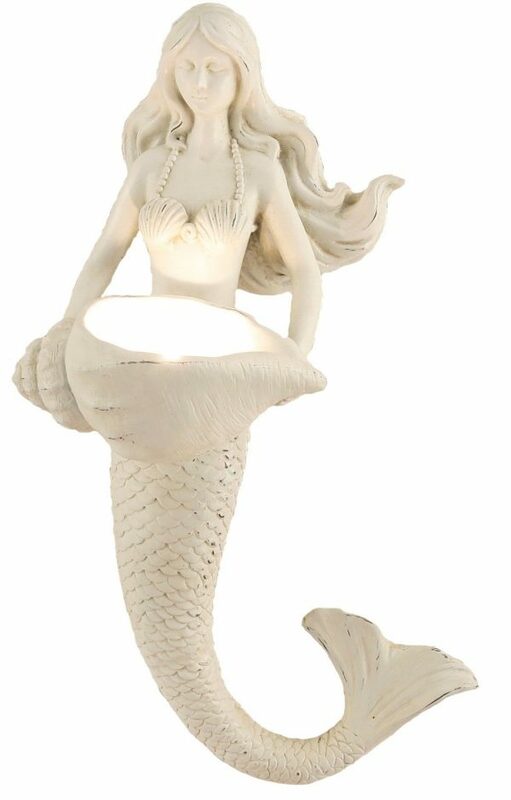 This wall-mounted mermaid is cast from lightweight resin, sure to look lovely anywhere – even without a candle. If mermaids are your thing, do check out our post on mermaid home decor where we feature some gorgeous mermaid themed accessories. 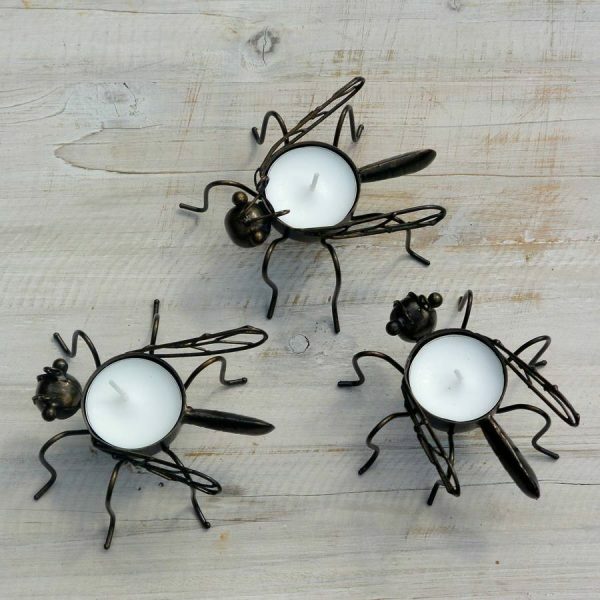 Figure Tea Light Holders: Gorgeous! 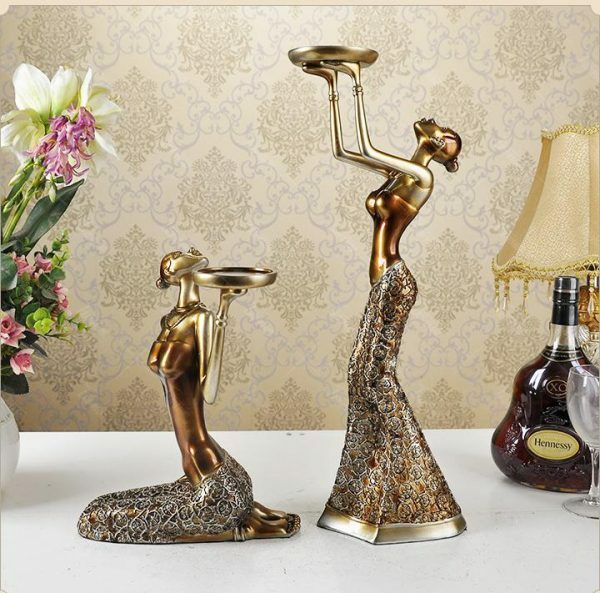 These enchanting figures combine the elegance of African sculpture with the glamor and glitz of the Art Deco style. 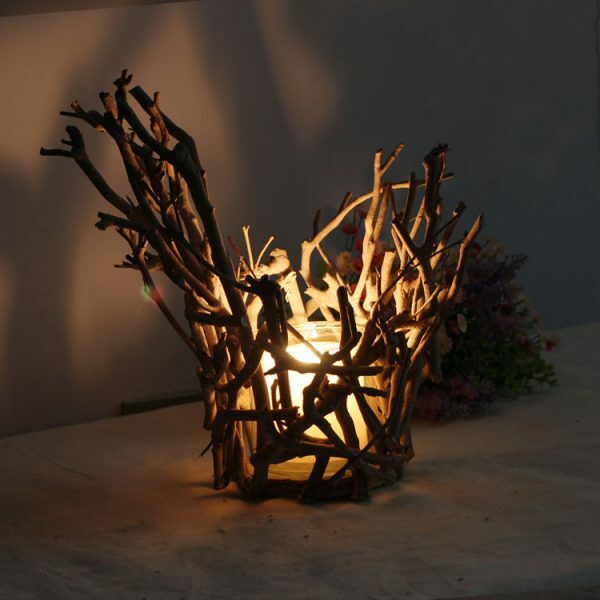 Decorative Tea Light Holder Made From Branches: Rustic designs like this work well in any type of interior, from natural Nordic styles to traditional to cottage chic. This would make a lovely gift for gardeners and nature enthusiasts. 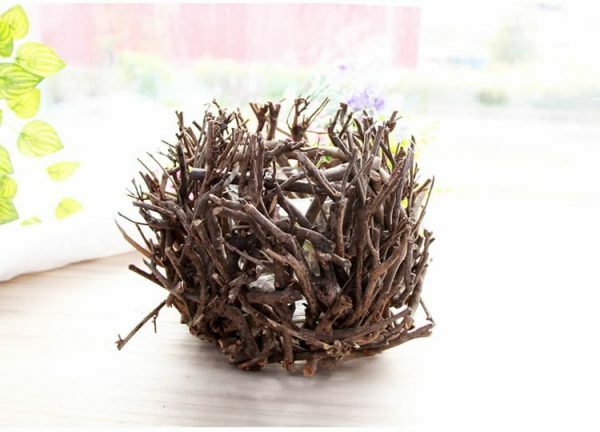 Bird Nest Tea Light Holder: From the same collection as the one above (just select Bird Nest instead of Branch), this wooden tea light holder pays homage to nature’s favorite architects. This would make a neat gift for a birdwatcher. 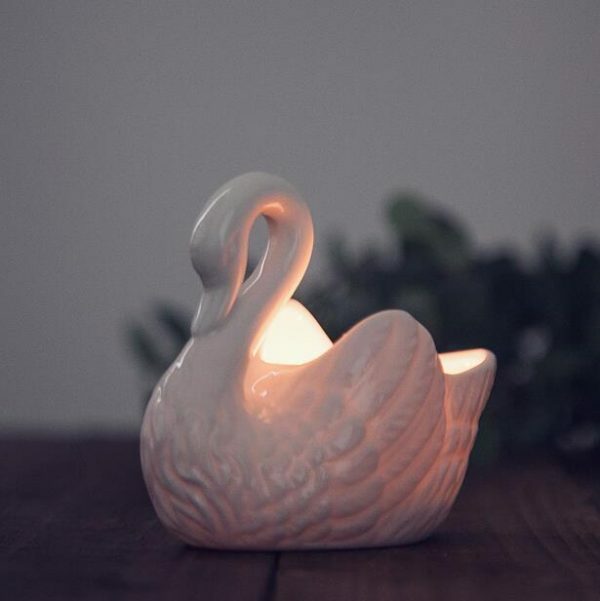 Swan Tea Light Holder: This ceramic swan looks just as lovely with a candle as it would with a small potted plant or filled with favorite jewelry. It’s a versatile piece to suit many purposes. 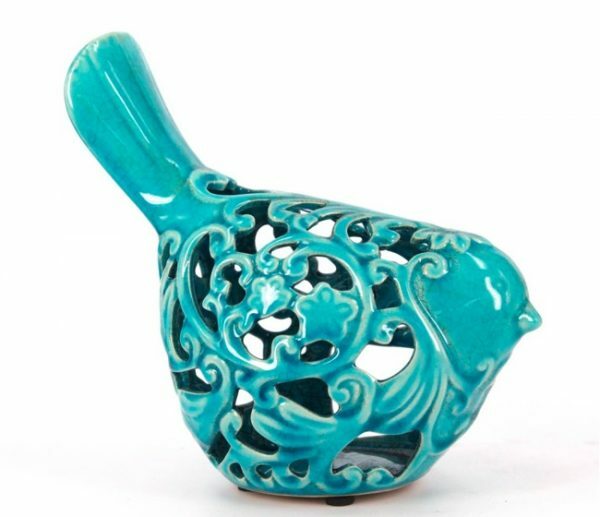 Bird Tea Light Holder: Available in aqua, tan, and ivory, this elaborate little bird packs a ton of charm into a small and delightful form. 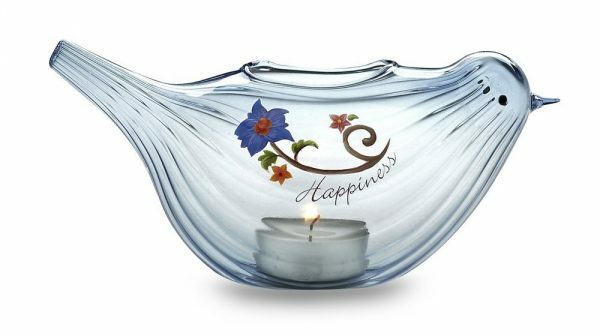 Happiness Bird Tea Light Holder: Painted by hand and shipped in a beautiful gift box, this glass tea light holder would make a lovely gift for a wedding, housewarming, birthday, or to commemorate a special moment. 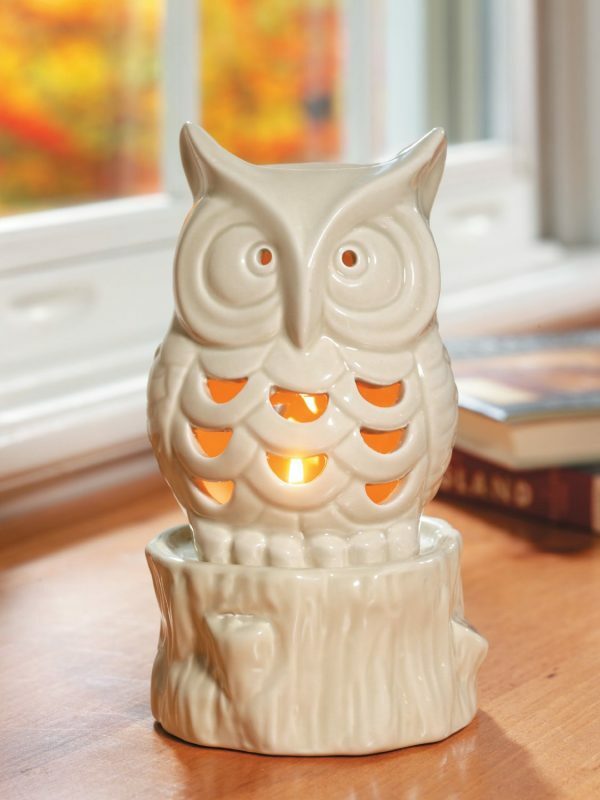 Owl Shaped Tea Light Holder: This set comes with the charming ceramic owl you see here, plus a set of four Yankee Candle tea lights in the popular Harvest Welcome fragrance. 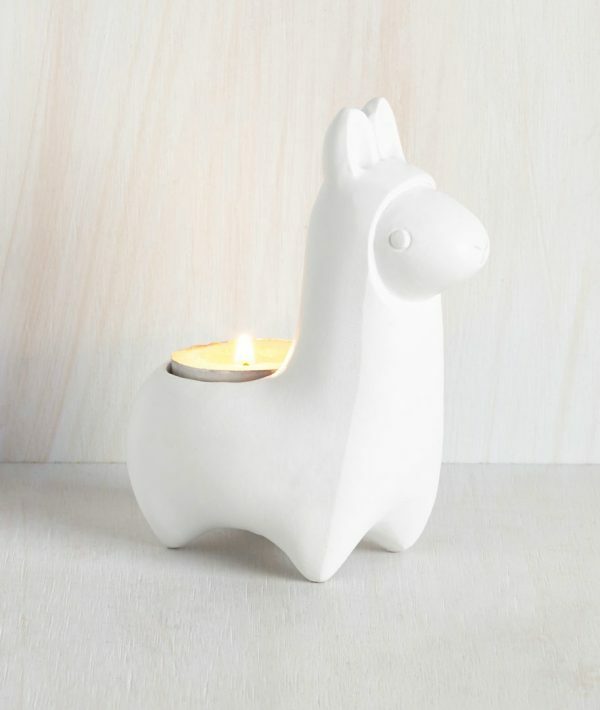 Llama Baby Tea Light Holder: Who could resist a sweet little baby llama? This just might be the cutest candle holder possible. Elk Tea Light Holder: Are you looking for a Christmas tea light holder to go with your winter village? 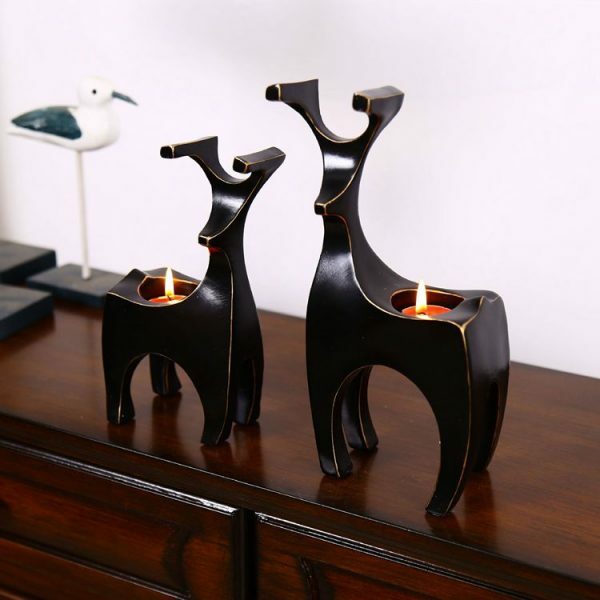 These elks come in a set of two, standing 8 inches and 10 inches tall. Elephant Tea Light Holder: Tambo the Elephant features a glossy finish to bring out the incredible detail of his design. 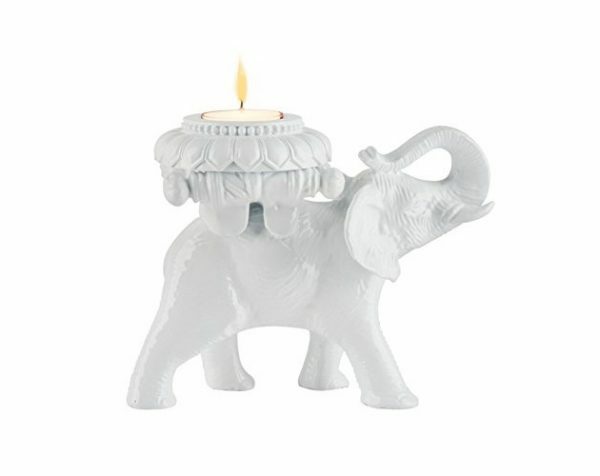 Each elephant tea light holder is made of cast resin and stands 5 inches tall. 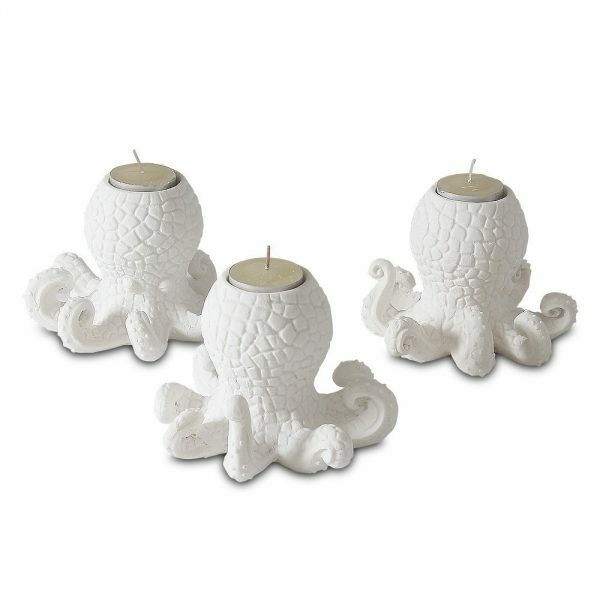 Octopus Tea Light Holder: These octopi are playful, textural, and most of all unique. They’re an easy choice for a nautical interior, but even minimalist modern homes will benefit from this distinctive combination of simplicity and quirk. Dragonfly Tea Light Holder: Dragonflies are colorful and full of energy – but these wire sculptures take on a more minimalist form. 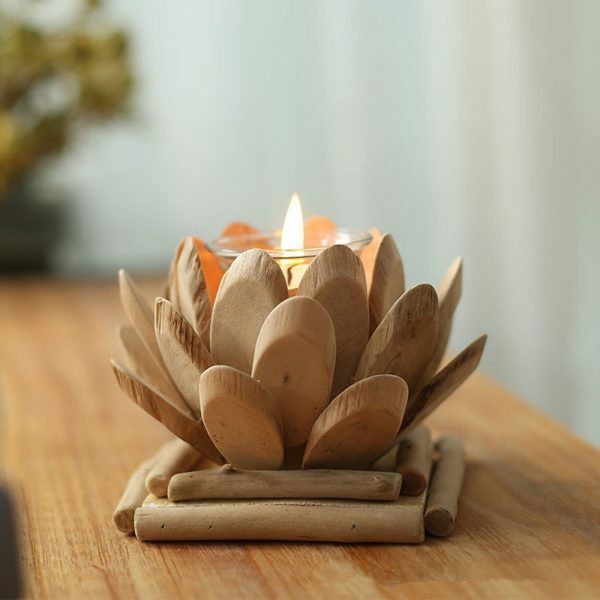 Lotus Shaped Wooden Tea Light Holder: The lotus flower is symbolic of peace and unaltered beauty, rising fresh and clean from the muddy waters in which they grow. 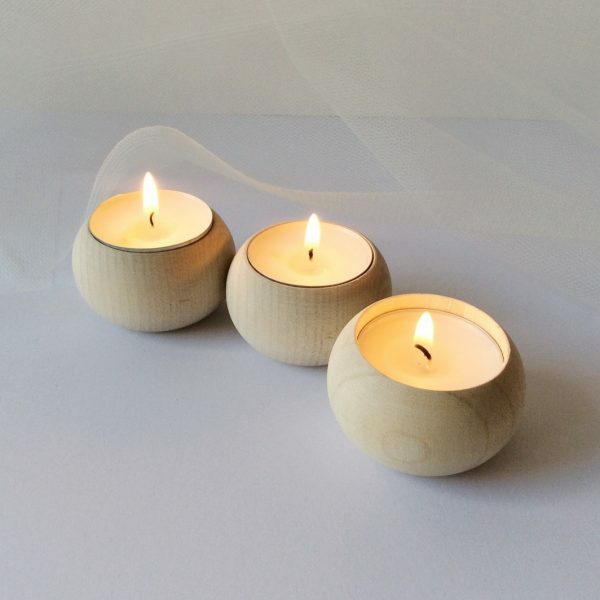 This candle holder is 100% handmade from unfinished wood. 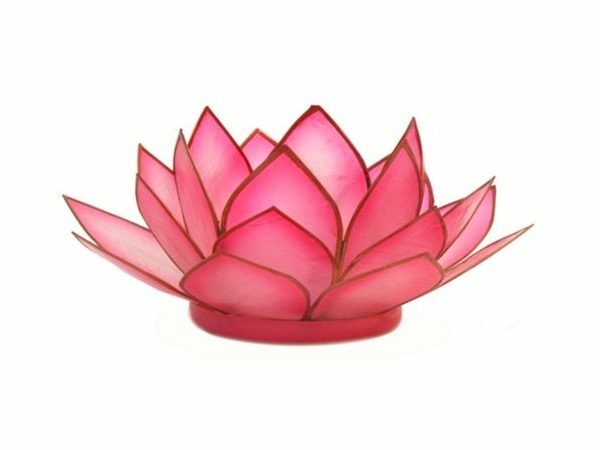 Lotus Shaped Tea Light Holder (Pink): Crafted from dyed capiz shell, these semi-translucent tea light holders appear weightless and ethereal. 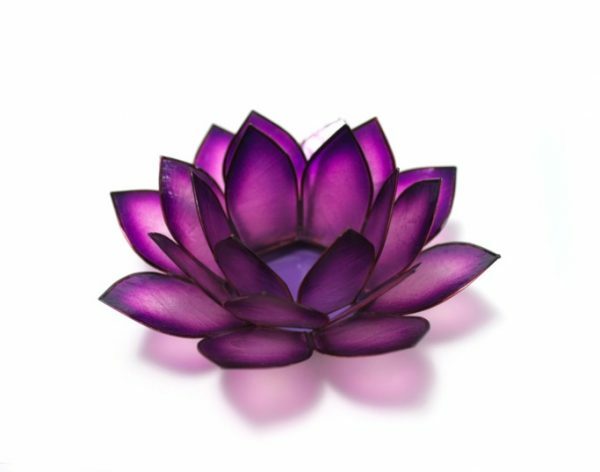 Lotus Shaped Purple Tea Light Holder: Here is another version of the previous candle holder, this time in rich purple. 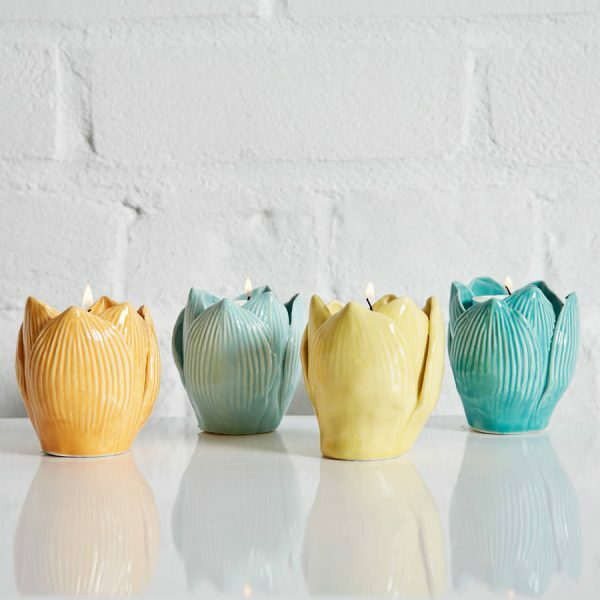 Tulip Shaped Tea Light Holder: Bring the colors of spring into your home with one or more of these delightful ceramic votives. Each ceramic flower bulb is crafted and glazed by hand, so each one is unique. 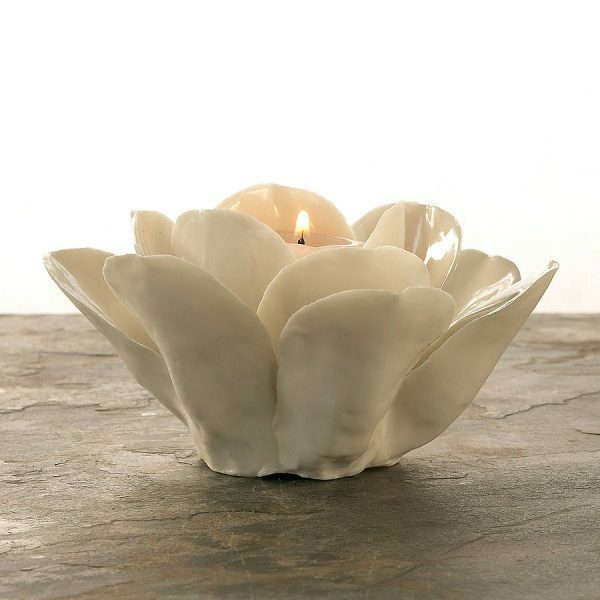 Porcelain Rose Tealight Holder: Porcelain is a versatile material. This hand=formed rose uses sleek glaze on the candle-facing side of the petals, but retains its soft matte characteristic on the opposite side. 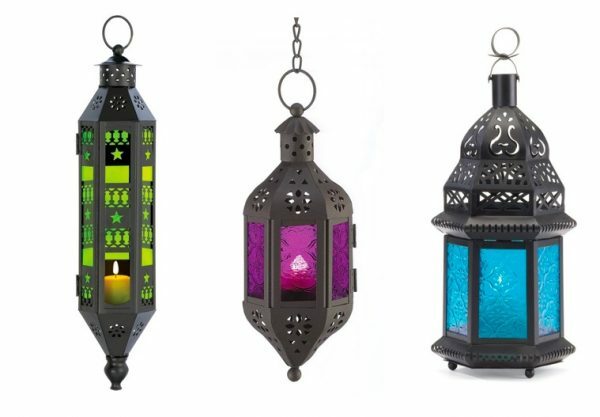 Moroccan Hanging Tea Light Holder: Intricate pressed glass changes the character of the candlelight that shines through it, changing the color tone and scattering the rays for a subdued and decorative effect. 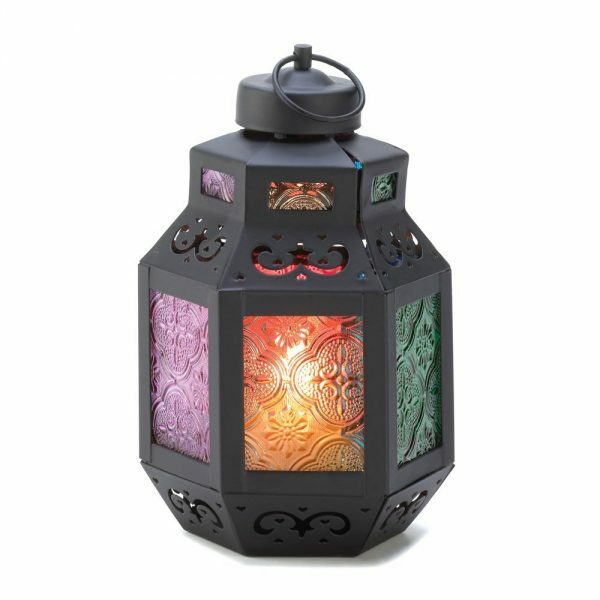 Moroccan Rainbow Colored Tea Light Holder: Here’s another Moroccan lantern, this time with differently colored glass in each pane. More Moroccan Candleholders: Of course, there are an infinite number of shapes and combinations for a Moroccan theme. This diversity makes it possible to find a style to suit any color palette or design theme. Marble & Copper Tea Light Holder: It’s hard to ignore the understated luxury of marble. 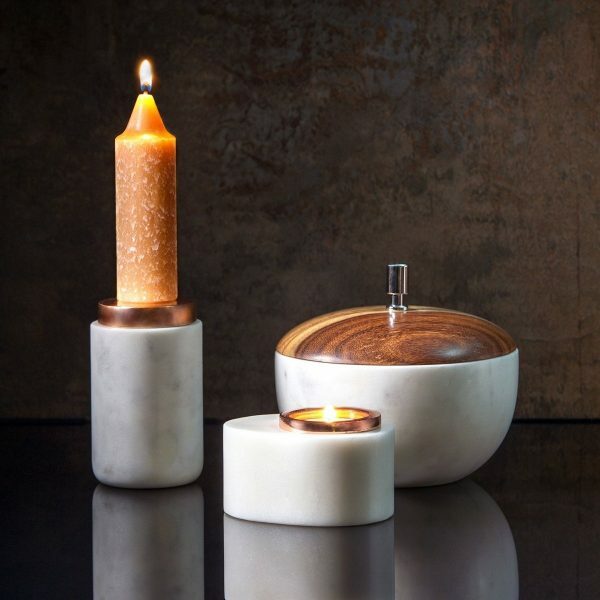 This sophisticated candleholder pairs marble with copper-plated brass – a tasteful combination to be sure. 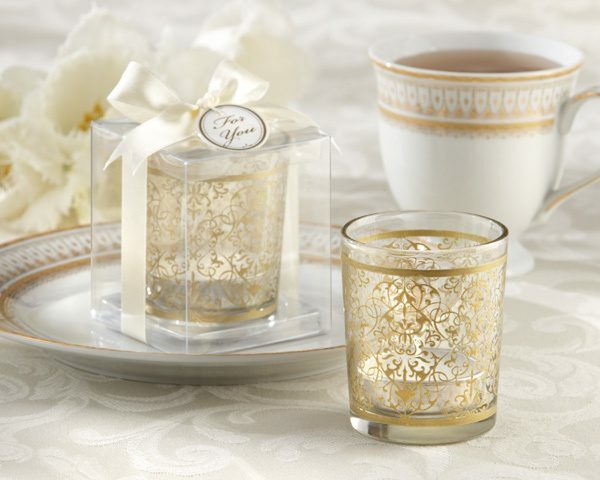 Kate Aspen Glass Tealight Holder: Clear glass sparkles with gold filigree, a wonderful tea light holder for a mantle arrangement or table setting that needs just a dash of baroque opulence. Because of the inexpensive price and good looks, these would make a wonderful place setting or party favor – perhaps for a wedding. 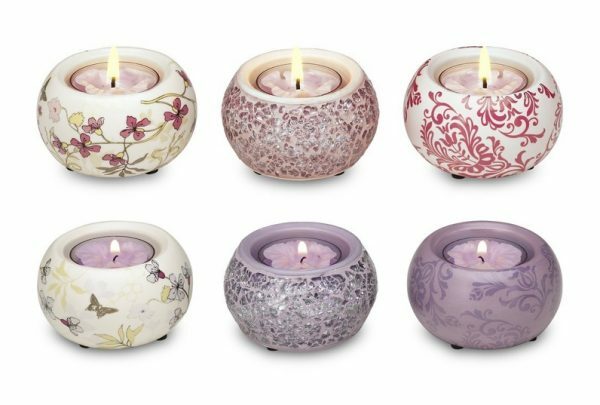 Pavilion Pink and Lavender Mini Tea Light Holders: This collection provides all the style of clever coordination without the stress. Each set comes with tea light holders with matching candles included. 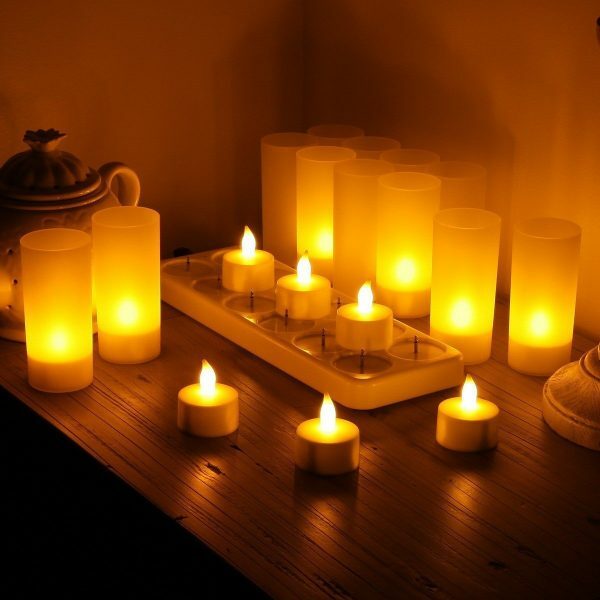 Frux Home and Yard Flameless Tea Light Set: Flameless candles make it easy to get that comfortable flickering glow without the worry. 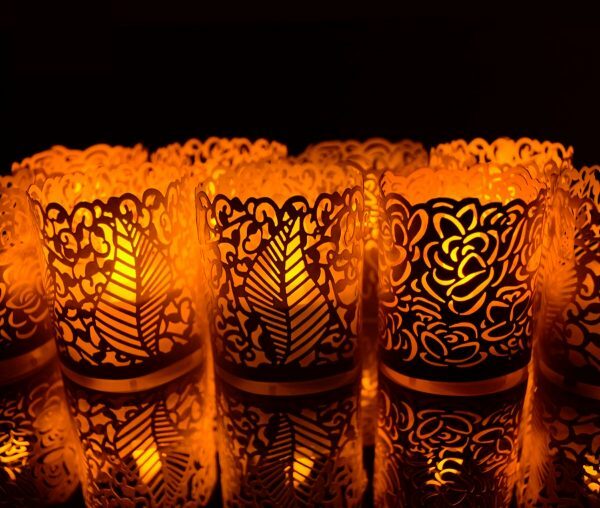 This set includes 24 battery-powered candles and decorative laser-cut wraps, a flameless and shatterproof option for outdoors or indoors. Rechargeable Tea Light Candles With Holders: If you don’t like the idea of replacing batteries but still want the convenience of flameless, these rechargeable candles might be the answer. Each set includes 12 flameless candles, 12 frosted votive cups, and an attractive docking base for charging. 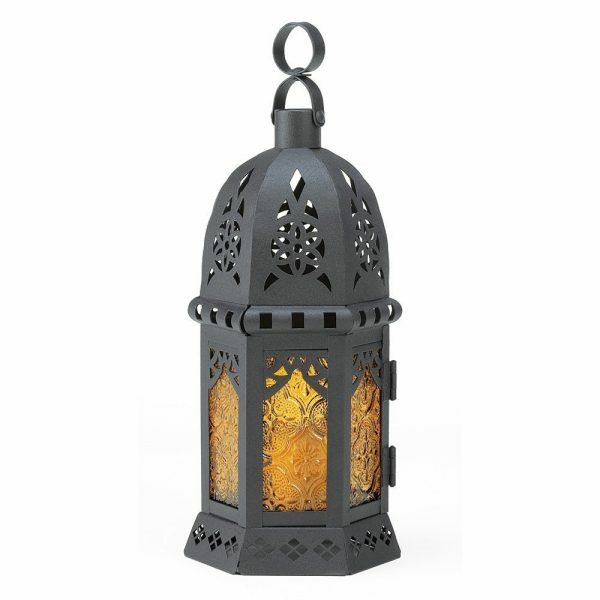 Luminara Flameless Candles with Antique Bronze Recharging Base: Premium flameless candles are worth the price for those who need them. This set includes a stylish recharging base worthy of inclusion within your home decor, and the candles themselves last up to 15 hours on a single charge. An included remote makes it easy to set an automatic timer or turn all the candles on or off with the press of a button.